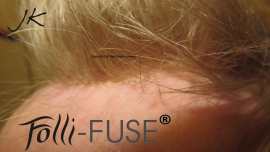 Following five years of intensive and extensive research and development by Jamie Kidd, we are proud to introduce the most innovative and leading edge non-surgical hair restoration. 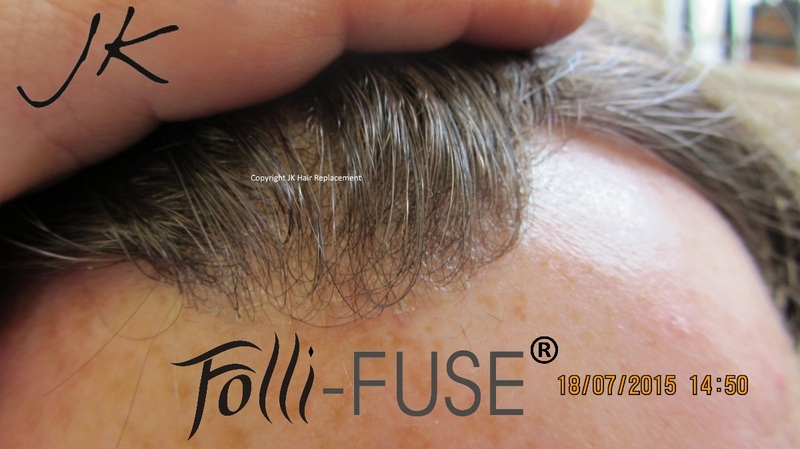 There is nothing comparable to JK Folli-FUSE® available anywhere in Ireland. It is the premium solution for getting your hair back. Pioneered using JK Technology, you can have JK Folli-FUSE® without surgery or painful hair restoration procedures. It is like having hair growing directing from your scalp, it is blended to perfection and fits every contour of your scalp. You get a flawless full head of hair without any pain or downtime. 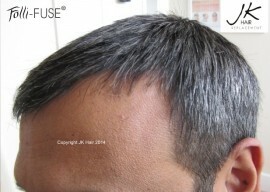 It is extremely natural looking and undetectable. Every JK Folli-FUSE® is unique. Once created for you, it becomes a part of you. 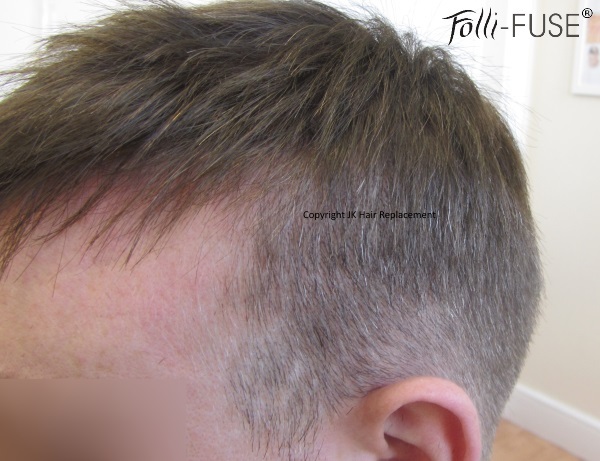 JK Folli-FUSE® is the most elite and bespoke hair restoration procedure and is the celebrities choice for hair replacement in Ireland. Meet with Jamie Kidd Himself, The Creator of JK Folli-FUSE®! 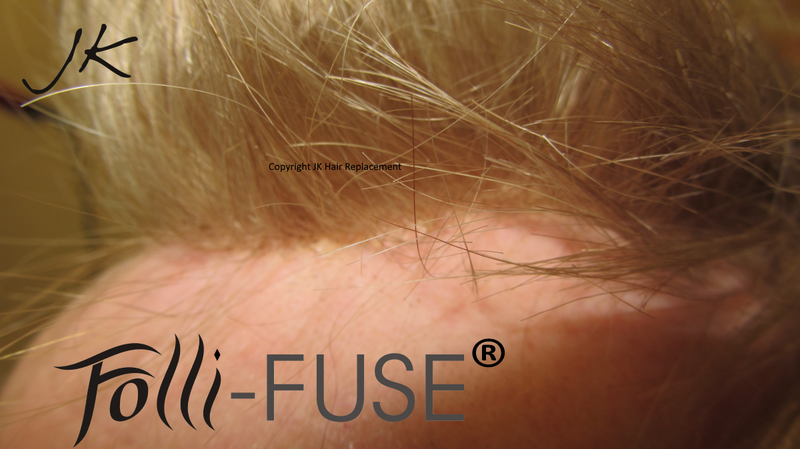 Jamie personally meets with every client to give them his time, complete attention and expertise to create the most sought after Non-Surgical Hair Transplants in Ireland and Europe – JK Folli-FUSE®! Meet with Jamie Kidd today and get your very own JK Folli-FUSE® ! Call 01-8824013 to book your Custom Design Session with Jamie Kidd! The best in non-surgical Hair Transplant. 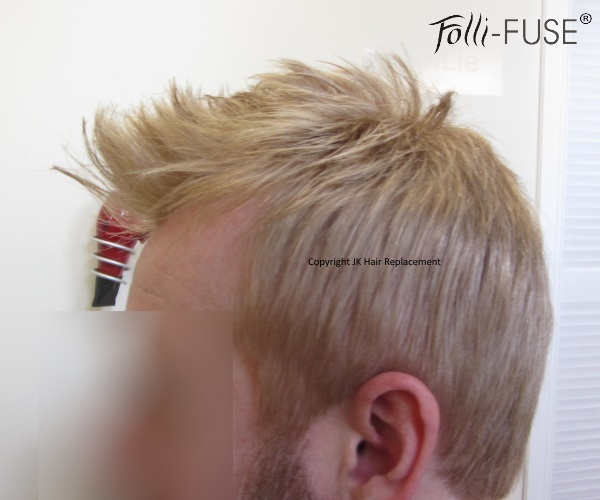 Unlike transplants, Folli-FUSE® guarantees the results you want! We have helped and advised thousands of clients from every county including: Antrim, Armagh, Carlow, Cavan, Clare, Cork, Derry, Donegal, Down, Dublin, Fermanagh, Galway, Kerry, Kildare, Kilkenny, Laois, Leitrim, Limerick, Longford, Louth, Mayo, Meath, Monaghan, Offaly, Roscommon, Sligo, Tipperary, Tyrone, Waterford, Westmeath, Wexford and Wicklow.